Rijkswaterstaat (RWS), the Dutch Directorate-General for Public Works and Water Management, chooses innovative traffic management tool ‘ODIQ’ from Google Maps Premier Partner Localyse. The goal of the new collaboration is to obtain a clearer picture of traffic conditions, in terms of travel times, delay times and speeds. RWS hope this will enable them to serve road users even better, minimize delays and further improve safety on national trunk roads in the Netherlands. The five traffic management and information centres in the Netherlands continuously evaluate the impact of events and scheduled infrastructure improvement activities. What went well? And where is there room for improvement? To answer these questions, RWS continuously analyses the available traffic data and looks several weeks ahead as well as into the past. In the future RWS want to improve this analysis process. They want to make use of ODIQ , based on Google Maps. The goal is to obtain a better, clearer picture of how the traffic has behaved at a particular place and during a specific period of time, in terms of travel times, delay times and speeds. This analysis will then lead to improvement of their services for road users in the Netherlands. The project was launched on 30 January 2018. The traffic management and information centre oversees the traffic on all the national trunk roads in the region. The centre also handles all the incident reports for the provincial roads in the region. In addition, the centre remotely controls and monitors tunnels and bridges. During roadworks, traffic queues and traffic incidents the traffic management and information centre plays a leading role: the centre can close roads, reroute traffic and inform road users via the dynamic route information signs above the roads. The traffic management and information centre also coordinates the road inspectors. 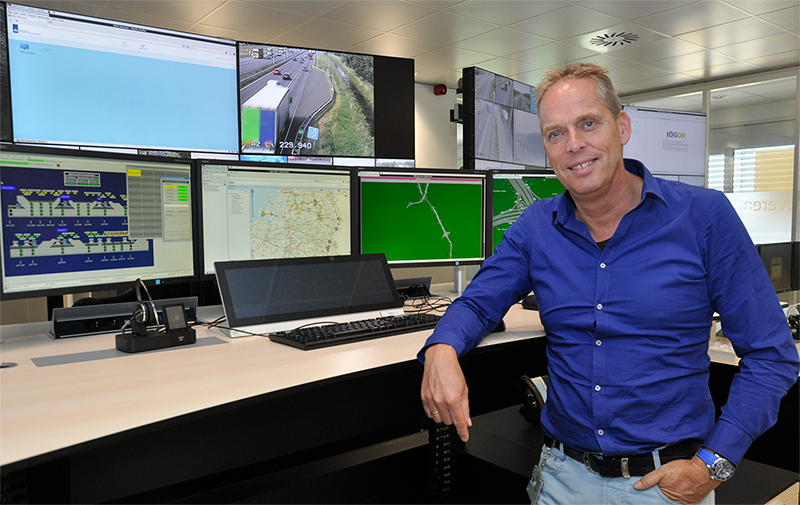 At the South Netherlands regional traffic management and information centre there is also an innovation room with two control desks. This is a test environment that RWS, along with market parties, government agencies and knowledge institutes, use to develop smart traffic management solutions.